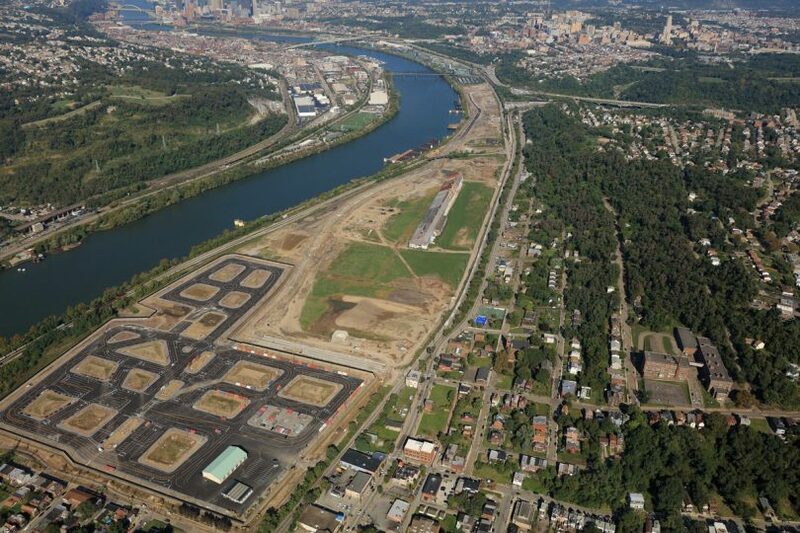 Foundation, civic, and community leaders are collaborating in the redevelopment of the 178-acre “Hazelwood Green” urban riverfront brownfield formerly occupied by Jones & Laughlin and LTV Steel in Hazelwood, a Pittsburgh neighborhood that employed nearly 13,000 people at the height of the steel industry. 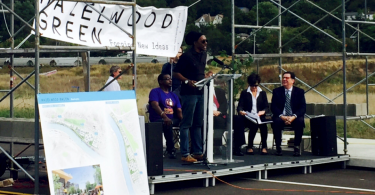 Renamed Hazelwood Green in October 2017, the site’s master plan calls for a mixed use development comprising a blend of housing, offices, research and development, light manufacturing, retail, parks, trails and transportation, and employing a host of sustainable standards and infrastructure. The site is pursuing LEED for Neighborhood Development (LEED-ND) certification and zero net energy. The Pittsburgh steel plant in Hazelwood closed in 1998 and the Hazelwood Green site was purchased in 2002 by local foundations. 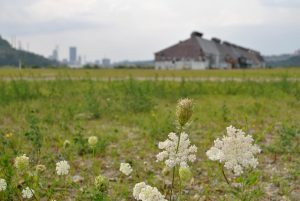 The site has undergone more than a decade of site remediation, infrastructure, and planning. Its first stage of development includes the $80 million renovation of the existing Mill 19 building. 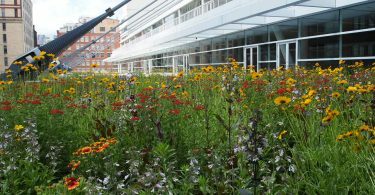 Plans call for construction of a 65,000 square-foot zero net energy building with the steel shell of the former mill retaining a glimpse of Pittsburgh’s industrial past; Carnegie Mellon University’s Advanced Robotics Manufacturing Institute will be the first building tenant. Uber is Hazelwood Green’s first site tenant, is already using a portion of Hazelwood Green as a test site for self-driving vehicles. Source: The Heinz Endowments. Read more in an h magazine article. This post was updated on 10/17/17.